Diana gave a great overview of physical reactions, and Jen did a super job of explaining motivation/reaction units. But other than because we all have physical reactions to things, why do we write them? In this day and age of deep POV, physical reactions become especially important. You can no longer tell emotion. You have to show it. How? Through physical reactions. There are, of course, the outward physical reactions. If you stub your toe, you're going to hop around. If someone dies, you're going to cry. If someone angers you, you're going to scream and stomp. But to truly get deep into your characters' emotions, don't forget to include the internal physical reactions. We call these visceral reactions. These are reactions our bodies can't control. They're reflexive. When I stand at the edge of the Grand Canyon, my palms sweat and my heart races. When my husband walks through the door at the end of the day, my heart beats faster. When I step onto an aircraft, my stomach clenches. 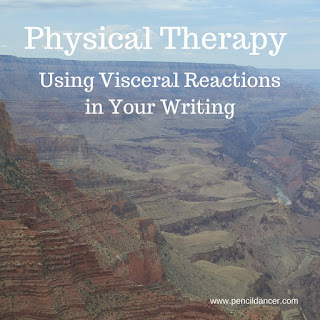 If you use visceral reactions correctly, you don't even have to describe emotion. Why? Because the reader can feel the emotion. From the above examples, you know I'm afraid of heights, I love my husband, and I hate to fly. And this deepens the POV by making the reader emotionally involved with the characters. Be careful not to use cliche emotions or to use the same ones over and over. Hearts do a lot of racing and stomachs do a ton of somersaulting in many books. One of the most helpful resources I've found is The Emotion Thesaurus. It has lists of physical reactions related to different emotions. Keep it open while you write and rewrite to keep you voice fresh. Also, be careful to save visceral reactions for important scenes, where the emotion really runs deep. 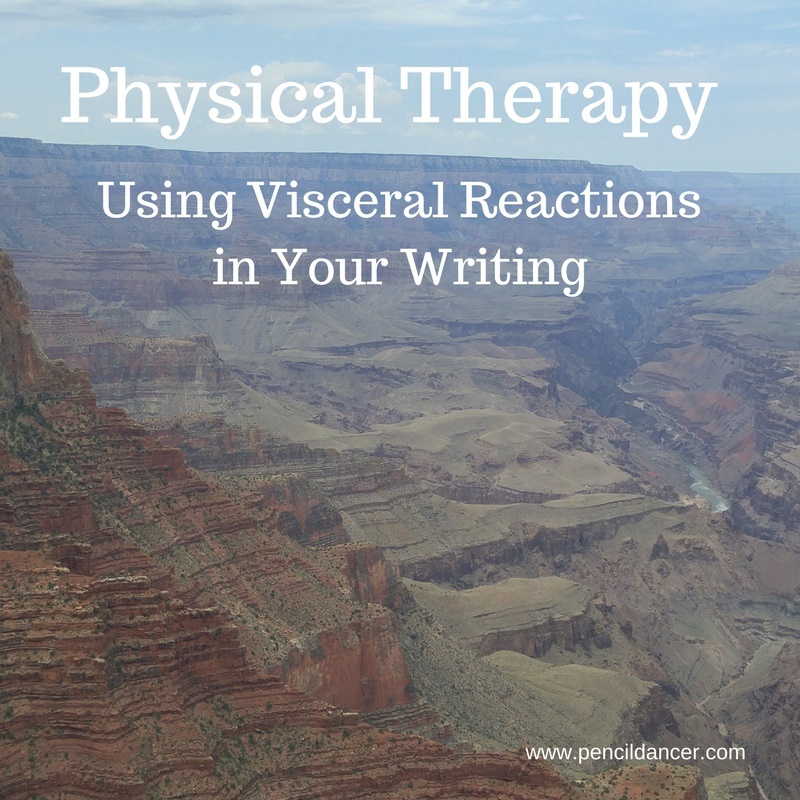 Overuse of visceral reaction can tire your readers - something you definitely don't want to do! Go through your WIP, identify where you name emotion, and add a visceral reaction instead. Have fun! Liz's latest release is A Match Made in Heaven in the Matchmaker Brides collection. Pastor Len Montgomery receives an unusual letter from an Omaha farmer that turns him into the matchmaker he never wanted to be. But the match he most wants to make, the one with the town’s sweet, charming, and Shakespeare-quoting postmistress, may be out of his reach. Visit her website and sign up for her newsletter to read the fascinating story behind this story.